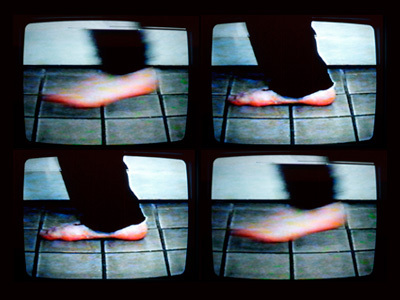 "Technology promises to enable us to be anywhere at anytime but instead we end up being nowhere all the time"
The video work Fast-Feet shows the artist running barefoot in the gallery space. 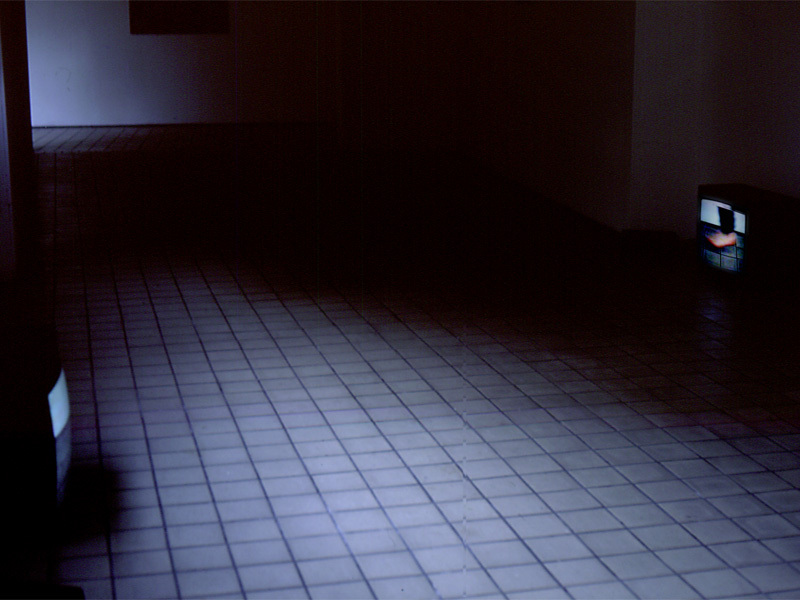 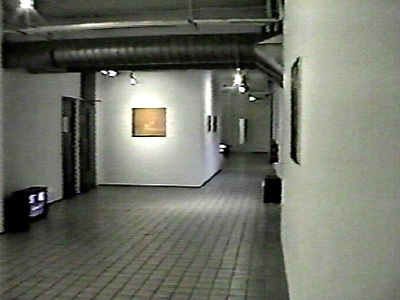 The original video footage was filmed in the actual exhibition space and then doubled in speed in the editing process. 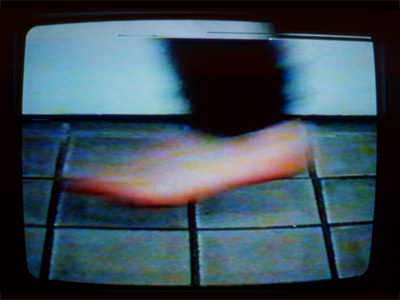 The resulting video sequence was looped and then played back slightly out of synch on the 3 monitors placed around the gallery space.